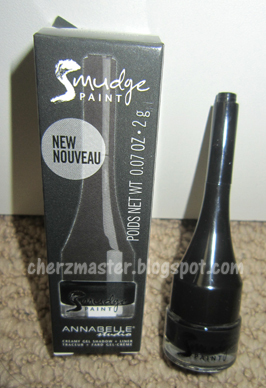 Last week while wandering the cosmetics department of Walmart, I had come across a new product by Annabelle Cosmetics SmudgePaint. 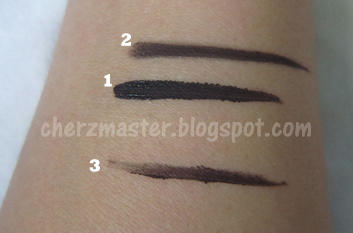 A product that is 'creamy shadow + eyeliner'. Since I was on search for new eyeliner I decided to purchase it and give it a try. - Highly Pigmented! I purchased this in Tar, I have never owned such a rich black before. Don't dip too much (trust me) a little goes a long way. - Glided on smoothly, like spreading 'butter' on toast. - Not sure if I personally like the "round" brush tip. I like having a thin line for eyeliner, but it will take a little practice.